A flair for creativity and a keen eye for new design trends are common qualities of interior decorators. No one needs to tell you to follow decorating blogs online, or keep on top of the hottest colors and textures of the season – this is what you’re passionate about! But are you completely familiar with some of the high-tech gadgets you should be using? There are some items on the market that will vastly improve the quality of your clients’ lives, make your job easier, and flow with the rest of the home’s décor at the same time! To make sure you’re up to speed on the best high-tech home gadgets, we’ve put together a list of 6 that will have your clients feeling totally inspired! Among the many perks of being a certified interior decorator is furniture placement. Clients will depend on your expertise to either freshen up their existing space and furniture, or to completely overhaul it in order to create a new effect in a room. However, both interior decorators and clients alike know how tricky it is to imagine how a new couch, chair, or table will look in a room. You’ll take measurements, of course, in order to make sure a new piece of furniture will fit, but there are no guarantees that it will mesh well with the rest of the décor, and fit your client’s vision of the space. This is where Furnish comes in. This app allows you to preview furniture from the IKEA, Crate & Barrel, Pottery Barn, and Herman Miller catalogs to see how it would look in your client’s home. It’s not replacing your work as an interior decorator, but rather making it much easier for your clients to see the big picture (literally) and make the right furniture choices based on the specific dimensions in their homes. If your client likes how a sofa looks in their living room, they can purchase it directly through the Furnish app, and you’ll both have peace of mind that it’ll fit in perfectly once it arrives. You’re no stranger to floor plans! Your interior decorating course taught you how to measure and sketch a room, and then draw floorplans that allow your clients a bird’s-eye view of their home design plans. But what if your clients could take the usefulness of floorplans even further? They can with designer Taewon Hwang’s Floor Plan Light Switch, which is a customizable light switch that imitates your client’s floorplan. By simply pressing different squares in the floorplan, they can switch the lights in that room on or off, which eliminates any confusion about which switch is for which light in the home. So why do you need this as an interior decorator? Well, letting your clients know that it exists will help them simplify their lives (and homes), and it’s a really useful gadget to be aware of! Interior decorators know that every job begins with the initial consultation. This is where you get to know your clients and allow them to give you a clear picture of what they like and don’t like. 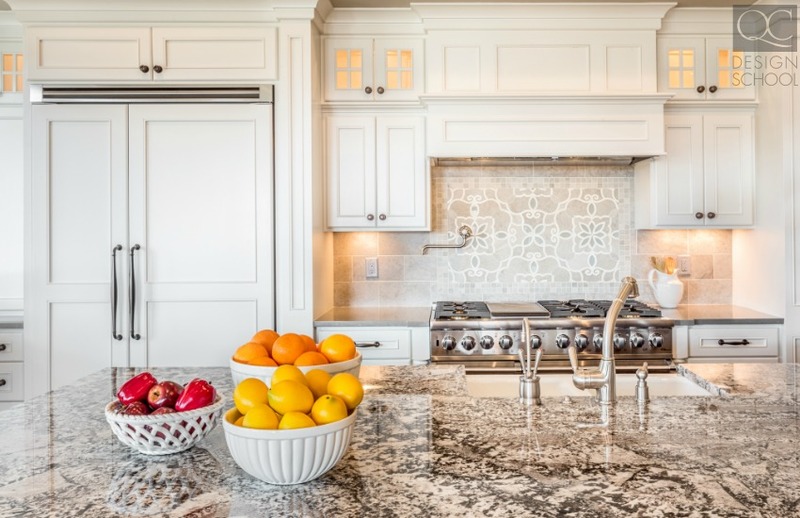 Once you understand what their vision is for the space, you can bring in your knowledge of design trends and classic elements, and start putting together the concept. One common desire that comes out during an initial consultation is a client’s love of playing music in their home, and their need for speakers. If your clients share this with you during the consultation, suggest Libratone speakers, and be prepared to enjoy their positive reaction as a result. Libratone speakers were designed with home décor in mind, and are actually covered in real wool and come in a variety of colors. This means that you can help your clients install this stylish speaker in different rooms within their home, in colors that fit the décor you’ve created for them. Instead of working around the color and shape of a speaker for the room you’re decorating, the speaker will complement the existing décor. How amazing is that? Your work as an interior decorator is mainly focused on the aesthetics of a home, but that doesn’t mean you’re not interested in how clients live from day to day in the space. 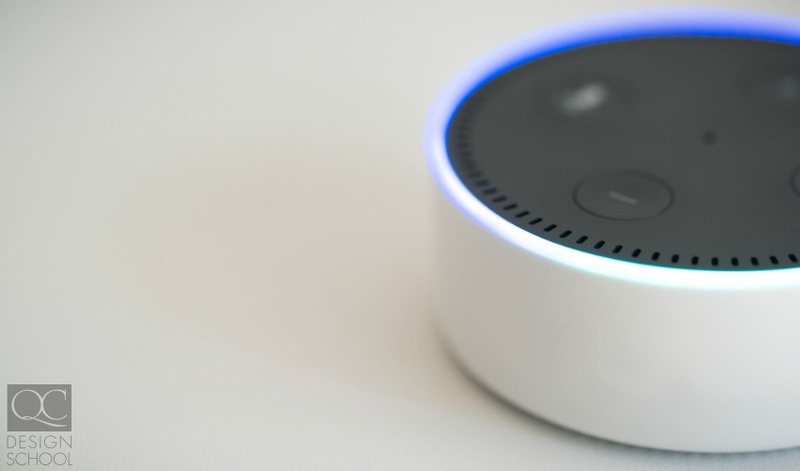 One high-tech gadget that you should absolutely know about and use is Amazon Echo, a robot speaker that takes commands and helps your clients with tasks around their home. So how does it work? Well, if your client likes to cook, they can place the speaker near their kitchen and ask Echo to set the temperature in their oven and a timer. If your client has had a stressful day, they can depend on Echo to play their favorite music when they arrive home, and dim the lights to help them relax. Because your role as an interior decorator is so focused on helping clients live harmoniously and happily in the spaces they love, this piece of technology lends itself to that mission very well. Knowing about Echo and suggesting it to your interior decorating clients will allow them to feel as though you have their best interests at heart and want to improve their lives, while also demonstrating that you are on top of the latest trends. Plus, who wouldn’t want such progressive technology in their home? At the rate that this type of artificial intelligence is moving, most homes in the future will likely have something similar at their fingertips. Your intuition is one of the things that clients are going to depend on in every one of your interior decorating jobs. You’ll need a good sense of style for different rooms, and as mentioned throughout this article, you’ll need to be on top of trends. One way to help your clients truly visualize what a room will look like once your work is complete is by actually showing them – yes, it’s possible! TapPainter’s Painting App actually allows you to preview how a paint color will look in a certain room by taking a photo of the space and picking a color. The app is then able to create a visual that you can show to clients on a tablet and allow them to really see what the end result will look like. They will seriously appreciate this as it will provide them with peace of mind, and you’ll know that your hard work will pay off as a result. Who knows, that dark paint color they’ve been worried about may actually be a hit once they see it on the TapPainter App! The great thing about interior decorating is that no two jobs will be the same! You’ll arrange furniture in living rooms, change the color scheme of a bedroom, and even come up with solutions for corporate spaces and home offices. Speaking of the latter, some clients will want to ensure that the furniture they work with is ergonomic in its design, and that it improves their health and well-being. One way to go above and beyond their expectations is by using MOVI’s Add-on Standing Desk, a standing desk that can transform quickly into a sitting desk, depending on how your client is feeling. This is a seriously flexible, useful gadget that the employees in a corporate office will appreciate (and be impressed by! ), and that your client will love having in their home office. Knowing about its features and benefits as an interior decorator will allow your clients to make the best choice for their homes and lives. While making the suggestions above to your clients, help them stay away from these 7 “essentials” that they really don’t need!